Good news everybody! I tested my new game and it felt fun! 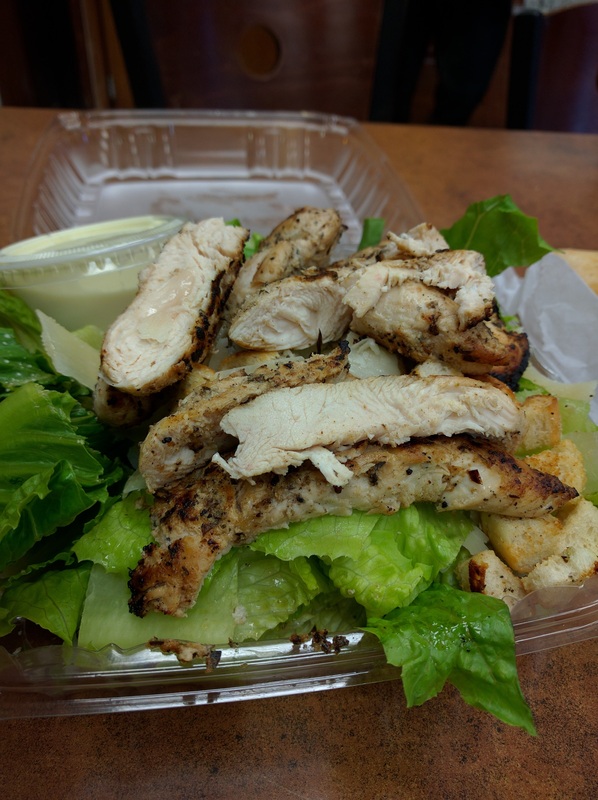 I am writing this as I devour a chicken Caesar salad. It’s delicious and delectable. Also, I eat it without any dressing. I know it’s weird, everyone says wtf Tony. But hey man, haters gonna hate. I threw away that dressing like a savage. As I was typing away last time, I had this epiphany about making a new game based on convincing other people with asymmetrical knowledge. I extended that to whether you tell the truth if up to you. There is no theme so see if you can find the bad guy. The bad guy gets to substitute one of the good guys and the person who gets to peeks at one of the cards. If it’s a good guy card, they can get their friends to vote for it to score. But if it’s a bad guy, he can sabotage their friends by tricking them to vote on the bad guy while abstaining from the vote themselves. This is the entire Meta-game. I realized after editing this, a better way is to say it is a 5 minute version of Mafia/Werewolf. You convince people if they are good or bad and you vote on it. This is with the Counter-Terrorist vs Terrorist theme. It felt a bit controversial and not as friendly as other themes. Small note, all the images that were used were from the nounproject.com. They are great for pixel type art like this. It is open source as long as you give credit. After some confusing explanation and three rounds of play, our small 3 man group understood the game. They were lying back and forth with some truth massaged in here and there. Here was a typical round. Everyone had their good guy cards face down in front then got their identity card. The person who was the bad guy exchanged their card for a card on the table. I counted to 10. First person to peek looked at a card and said it was good or bad. Then everyone does simultaneously voting. If it passed the card was opened and whoever voted gets the points if they were right. If they were wrong or lied to, they lost a point. That is the gist of the game. This with the Good Guy vs Bad Guy theme. However there were critiques about it of course. There was a lack of theme. The counting was clunky. The bait and switch was noisy so people knew who was the bad guy. Exchanging the bad guy card meant that person ended up with the good guy card in their hand. People associated their role with the card in hand. Also all the rules were verbal so they couldn’t reference anything if they forgot the rules. Don’t you forgot to make a reference sheet. It’s super-duper important. 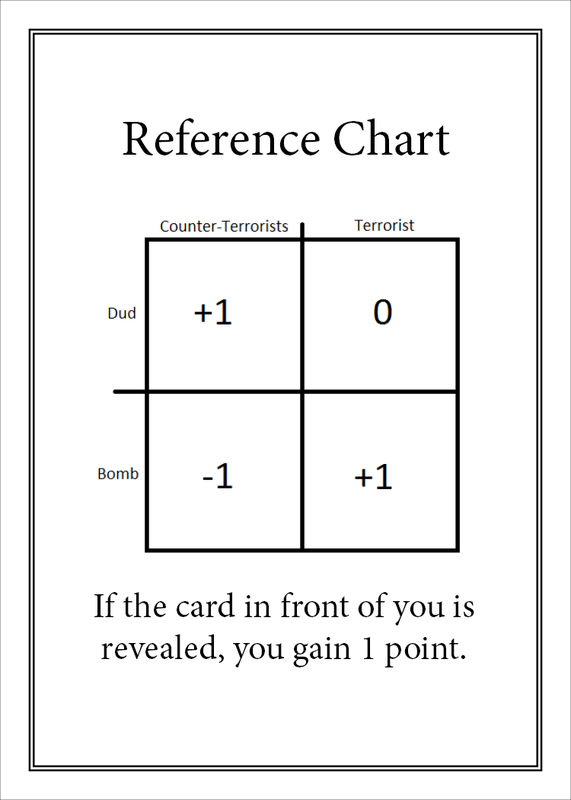 The player whose card is revealed gains an extra point gives direction to which card to peek. If no one got the extra point, it really would matter whose card was revealed because it would be entirely arbitrary. I will go one by one explaining why those were problems and what I did to fix them. Wolf in sheeps’ clothing, ghosts, chefs, cyberpunk/steampunk, nuclear fallout, occult, historic events, prison break, law, flight, medical, or zombies were a few of the ones I liked. I narrowed it down to doing a Halloween theme of scaredy cats visiting a carnival for the fun houses but one is a horror buff and convinces other people to do the haunted house. Another one is velociraptors trying to eat meat but one of them is a vegetarian velociraptor that tries to convince the group to eat green leafy veggies (the good guy/bad guy becomes an object that looks like another yummy dinosaur but up close it is actually a tree). However, I finally settled on a Heist theme where bandits in the Wild Wild West have their preference of train carts to rob but one of them is an undercover deputy setting up an ambush on one of the carts. I am still on the fence about it though. I think I might change it to the velociraptors because it’s so silly. I mean come on, vegetarian velociraptors! Next, the counting was just me counting down from 10. I started counting from 30 and then 20 but those were still too long. I decided to use a timer on my phone that counts down and plays a sound. This way it’s more consistent and the bad guy can see the count. 3rd is the clunky moving the cards around the table. Before we start this one, I think this game can be only be played with cards (which limits what we can use). All the cards have to be the same or else you can differentiate the Bandits from the Deputy and the Cash from the Ambush if it we used dice or meeples. I thought about using a label on the bottom of a tile that you flip up to see it like to really peek at it. I still don’t have a real solution for this. A temporary solution would be to add the Ambush as its own card that is placed in the middle of the table. The Deputy then just swivels the cards to switch them. The sound might still be heard but if we use an electronic timer that plays sounds as it counts down it may mask the sound. Again, this is a temporary solution. 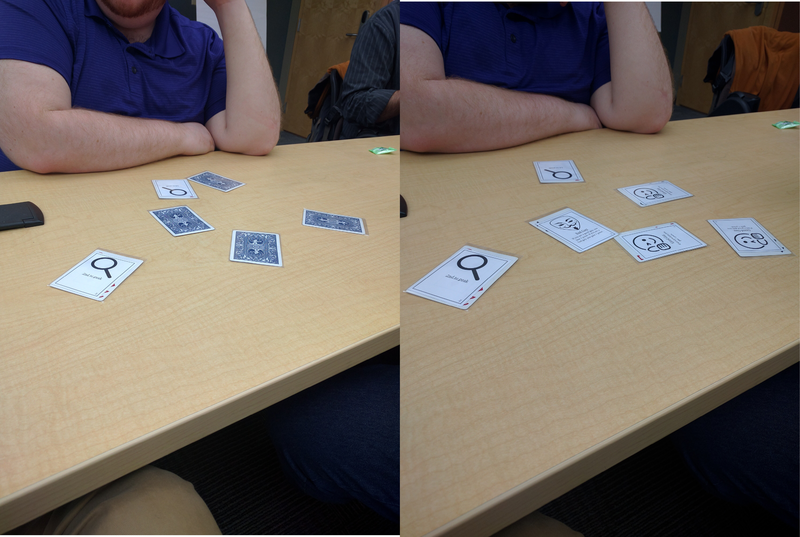 4th and last, changing the card (and your perceived roll) with the board confuses what you are. However, adding the extra Ambush card helps solve this. The Bandits and Deputy keeps the card/role in their hand the whole time. After all these changes, I did get a small chance to play with my gamer friends outside of my tabletop designer club aka Game Makers Guild of Boston, MA. It did not go over well. I did a bad job explaining it and they did not get it and frankly I think they just wanted to play Super Smash Brothers WiiU instead. Understandable. We played a few rounds and they did not get it. No one really read their cards with the instructions and guide on it. I bothered them with bad games in the past; the only one they seemed to have liked was AVALANCHE! Critically though, they did mention, “What was the purpose of lying?” I need to reflect is lying has enough of an advantage besides taking someone’s card out of the game and losing their extra point (you say their card is the Ambush card and it is voted out and avoiding giving them the extra point. Hopefully everyone else’s card is taken out and you end up gaining the extra point). My advice to you when playing with friends, rehearse how to explain the rules so it is clear. Make comparisons like this is a 5 minute version of mafia/werewolf. It helps them understand how to play and most importantly how to have fun playing. These past few posts have been a small side project that I got stupidly excited for. What do you think about the theme? Wild Wild West or Vegetarian Velociraptors? Next visit I will start writing to you about AVALANCHE!